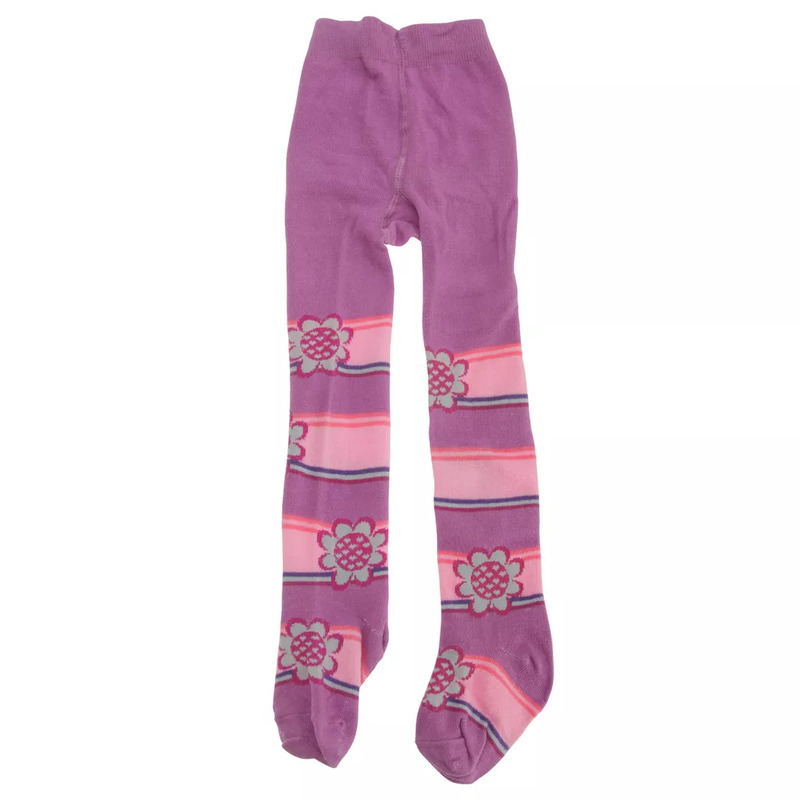 Baby girls tights with flower/stripe design. Choice of 4 sizes: 0-6 Months, 6-12 Months, 12-18 Months, 18-24 Months. Fibre: 80% Cotton, 17% Polyester, 3% Elastane.